Southeast Asian furniture encompasses a broad range of influences ranging from indigenous to British and Dutch colonial to Chinese and Indian. 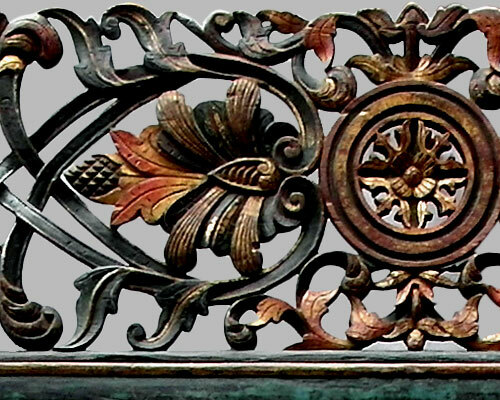 Furniture pieces from the region frequently include a heterogeneous mix of two or more of these styles creating a unique genre of its own. Furthermore, the region has long been endowed with an abundance of exotic woods and excellent craftsmen. The heritage furniture from this region is thus some of the most interesting and well-crafted furniture in the world and up to the present day is still one of its main export industries. The East Indies Museum collection consists of a diverse range of pieces from Java and Sumatra which, traditionally, have been the main furniture-producing areas of the region.